Happy Wednesday. Are you enjoying the sunshine? Are you looking for a nice Summer cocktail recipe? A nice afternoon tea party idea or early evening in the garden? Are you a fan of passion fruit and vodka? If so, I have a lovely recipe to share with you today. Today I am sharing this Island Summer cocktail recipe: The Perfect ‘Passion Fruit Martini’. Perfect for Summer BBQ’S and Summer evenings in the garden. Liven up your home-made happy hour with Island Grill’s simple Passion Fruit Martini recipe. Prepped and served in just five steps and five minutes, this fruity cocktail is a staple for any summer celebration. Step 1: Cut the Passion Fruit in half, and squeeze one half into a tumbler. Save the other half for later. Step 2: Pour the vodka, Passoa, passion fruit purée, lime juice, gomme syrup and cranberry juice into a fresh ice cube filled tumbler. Step 3: Shake vigorously for at least 15 seconds. Step 4: Strain the mix into a chilled martini glass. If you are without a cocktail strainer at home, use a tea strainer. Step 5: Garnish the martini with the leftover half of the passion fruit, with the seeds facing up. Fancy trying this Passion Fruit Martini? 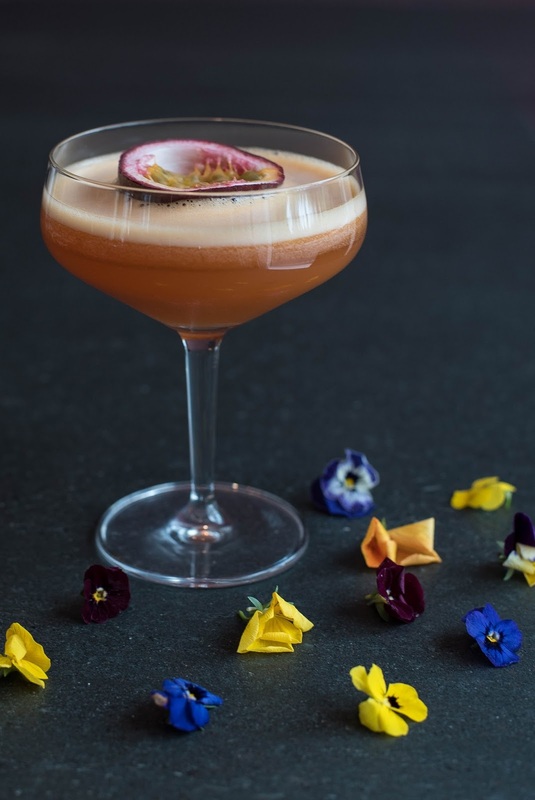 Fancy trying this The Perfect ‘Passion Fruit Martini’ recipe? If you are looking for any other vodka or martini recipes check out some more recipes I have posted here: Drink Recipes. Some more afternoon tea recipe ideas: Afternoon Tea. "Nottingham Canal: The Wednesday Blog Hop"
"McVitie’s Rich Tea Biscuits Vegan Cinnamon And Pecan Fridge Cake"